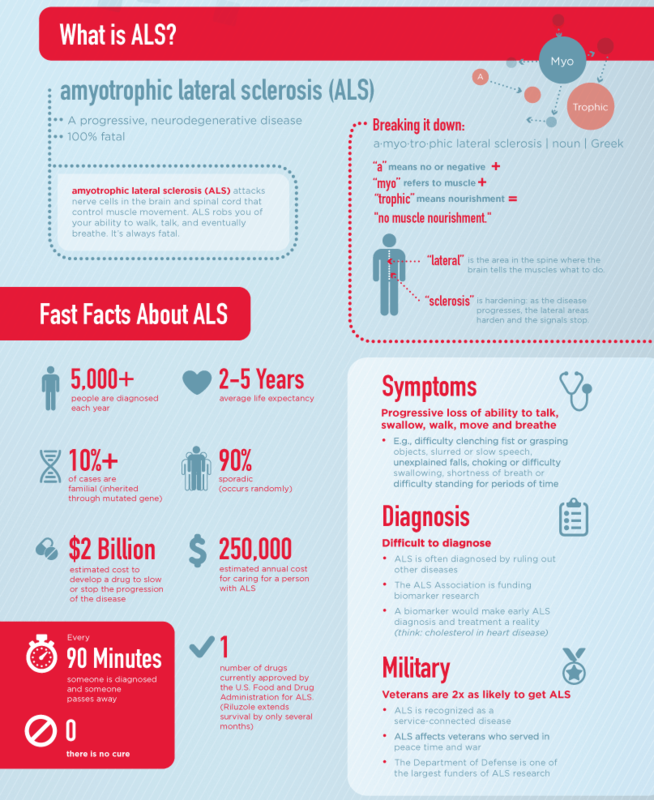 Motor Neuron Disease (MND) also referred to as ALS is the name given to a group of diseases in which the nerve cells (neurons) that control muscles undergo degeneration and die. MND is characterised by progressive degeneration of the motor nerve cells in the brain and spinal cord. The motor cells control the muscles that allow us to move around, speak, breathe, and swallow. With no nerves to activate them, muscles gradually weaken and waste. MND is a serious and incurable form of progressive neurodegeneration – over time the nerves in the spine and brain progressively lose function. Symptoms may include muscle weakness and paralysis, as well as impaired speaking, swallowing and breathing. In most cases, it does not affect intellect, memory or the senses. Progress is relentless and generally rapid, with a life expectancy of between 2 and 5 years from the onset of symptoms. Though it can affect anyone, MND is more often found in the 40 to 70 year age group. The disease affects each individual differently and can have a devastating impact on family, careers and friends. The rapidly progressive nature of the disease requires constant adaptation to increasing and changing levels of disability, which in turn require increased levels of support.